those snowflakes in the bg are just stunning! :) they set off your coffee cup and match the froth design so well! Gorgeous! 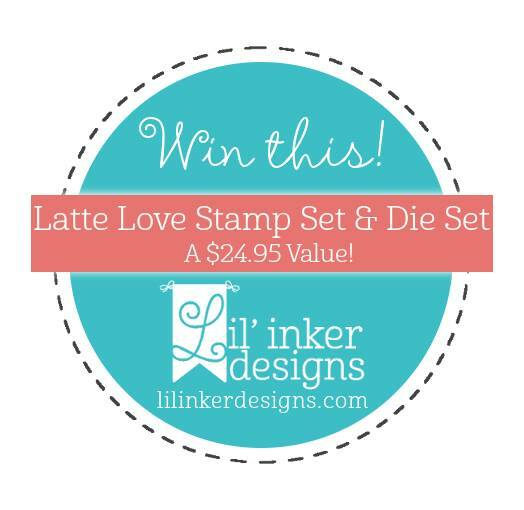 Love this new coffee set and that cover-up die is fabulous. WOW... Karen, this is beautiful and stunning snowflake background. Thank you for the inspiration! Brrrr. You have me beat. I had 19 degrees. Love the way the colors on the snowflake look. So pretty. Gorgeous background! Such a pretty card! Beautiful card....love the snowflake in the coffee cup. Fun awesome card. 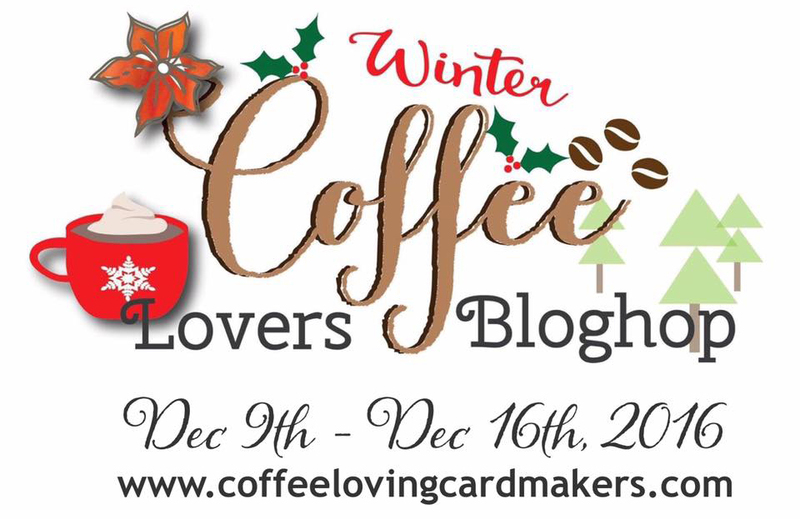 Love the snowflake background and the warm coffee cup. Very cozy card. Beautiful snowflake design. I love the colors too. As someone who's digging out from a blizzard that dropped 16 inches, I feel ya sister! Here's to warmth. 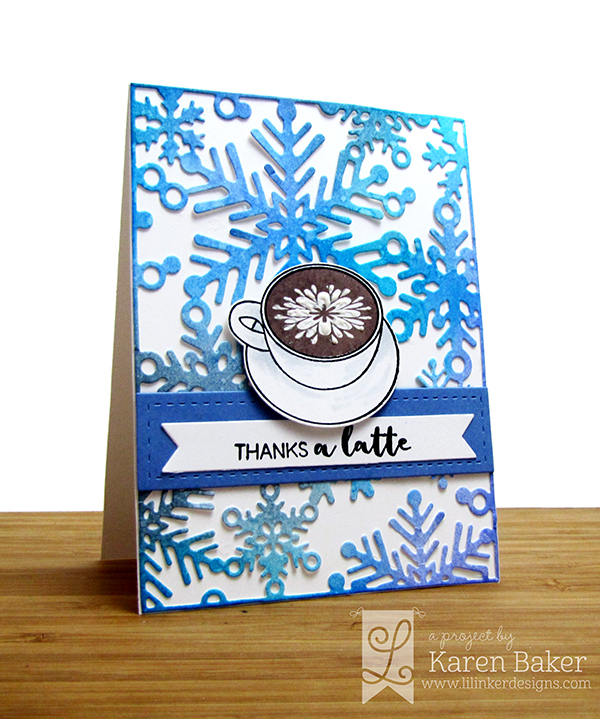 Looooove the ombre snowflakes you die cut for the background! Beautiful card, karen. Great background and loving that cup! Karen, this is beautiful! Love the blues! Beautiful card, love your background. I adore your card...bought the stamp set this morning. LOVE the cover up die too! The blues are beautiful. Stay Warm! This is wonderful Karen! 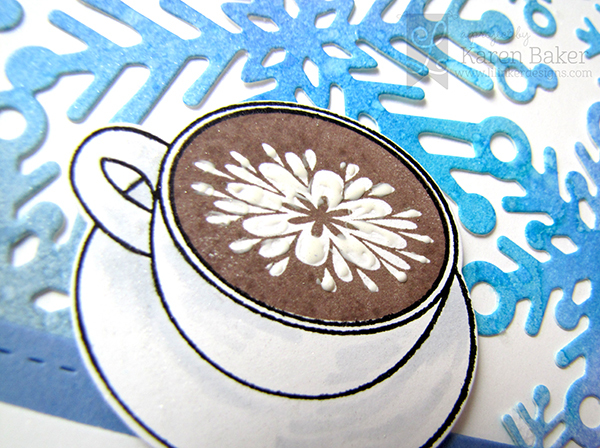 Love the delicate design of the foam and the beautiful snowflake background!! Wow, the background is gorgeous! Awesome colors! Gorgeous card, love the blue! What a lovely cup and pretty snowflake background! I love the blue color!!! Love your card! OhMyJingleStix!!! 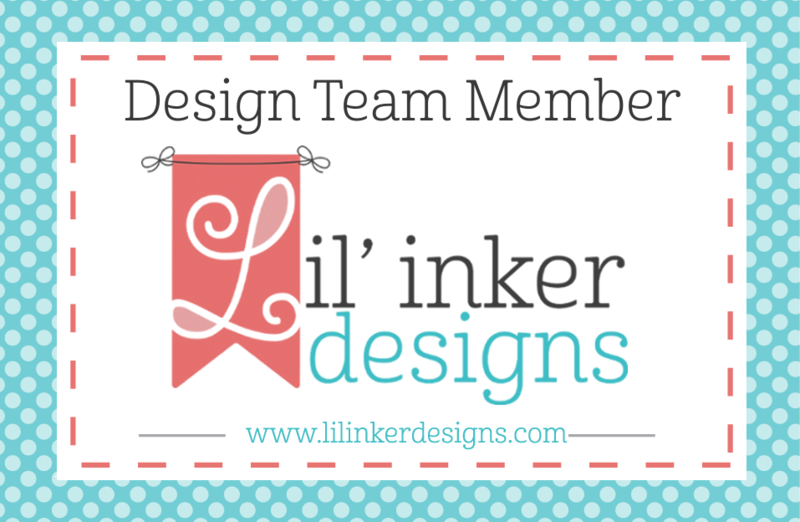 I love love love your card, the inking, the stamping, the die cutting all on point. Thank you for the inspiration. I love everything about this post...except the 14 degree weather! I really want to get more into distress inks, I'm discovering they can be used for so much. Thanks for sharing, I'm off to hop some more. 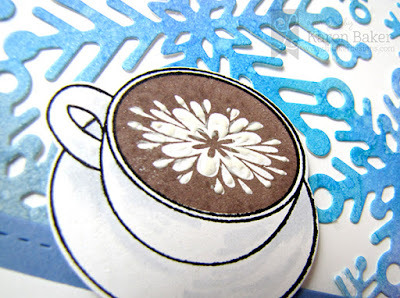 One of my favorite themes...coffee and snowflakes. Love the colors. Oh, wow!! Love all the snowflakes...so pretty!! Karen this is such a cute card! I love that background! Blue, white and brown. Beautiful! Love that combo. This is amazing !! LOVE !! I adore this card! I've really got to get this stamp set because I've loved every single project I've seen made using it! This is such an adorable card. Oh one can never go wrong with snowflakes. love! Beautiful card!! Love the snowflake background! Amazing card! The foam on the coffee looks so real, well done! Those snowflakes are the best background for that cup of coffee! 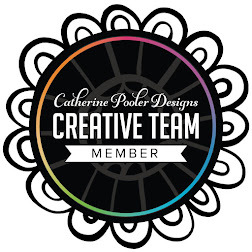 thanks for sharing how you put it together! beautiful card! Oh, wow! I just love ALL of these amazing projects!